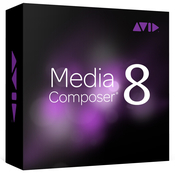 Media Composer is proven and trusted by professional editors in every segment of film, television, and broadcast. Designed to handle high volumes of disparate file-based media, Media Composer delivers accelerated high-res-to-HD workflows, real-time collaboration, and powerful media management, eliminating time-consuming tasks so you can focus on telling a great story. And now the choice is yours—edit on premises, remotely through the cloud, on demand, through a low-cost subscription, or purchase a license outright—making Media Composer the most versatile and accessible tool for professional creative editorial. With this release, DPX files are now supported with Dynamic Media Folders. The AIS (Avid Image Sequencer) Settings have be en added to the DMF Profile editor and allow users to specify Reel and timecode extraction as well as establish starting frame count and FPS. See “Creating a Dynamic Media Folder” in the Help.